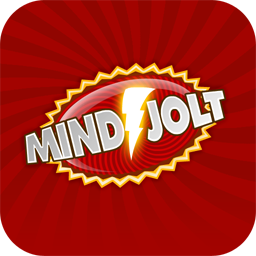 - Connect to Mindjolt: Use this one first with the ID provided when registering your game in Mindjolt. - Show Pregame Ad: This will show the Mindjolt ad, I recommend using it just after the connection. - Submit Score: This will submit the provided score to Mindjolt and will show another ad. Use it when the game is over. should they be polished and quality games??? Can you make it that it shows scores as well. Just uploaded my first game to mindjolt. Hi tkamal81, I can only speak from my experience with one game. Mindjolt does not accept games automatically, there is a review process that can take some time (1 week in my case), so I think that any game uploaded there should be finished in order to be approved. I don't know how it works when the game is live (mine is not yet) but there is no API function for showing scores. Maybe the submit score function does it when the game is live, I'll tell you. As you can see the scores are shown out of the game, at the bottom. They don't share scores between these two versions though. I got one approved so far. other once needed work with scoring. They want auto submit score on serveral locations in the other games. So be It. It's been an average of 1000-2000 views per day. Wow you have more gameplays then me. I have an average of 300 a day but that is only on one game. I did however saw more downloads from my android game. I have 2 more games approved and they will be release at the end of this month. I need to edit the last one a bit to comply with mindjolt policy but that is an easy fix.